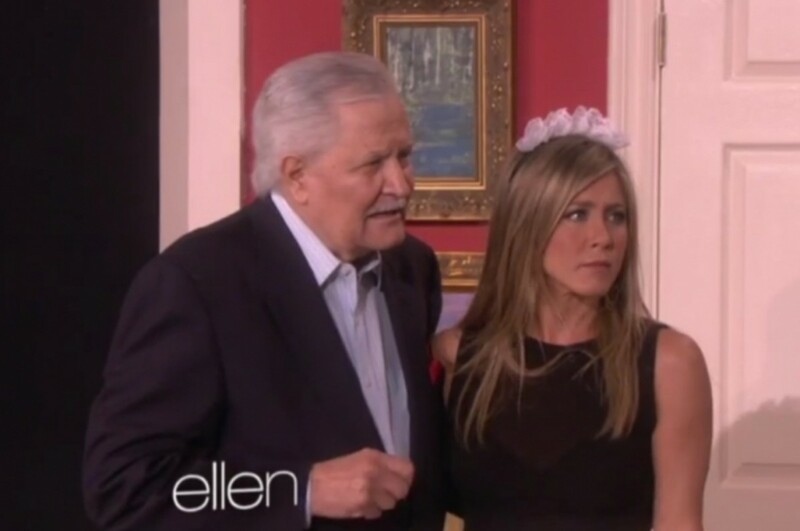 On Days of Our Lives, he&apos;s the patriarch of the ruthless, Kiriakis dynasty, but in real life John Aniston is the proud papa of one Jennifer Aniston. On today&apos;s episode of Ellen, the Anistons teamed up with Ellen DeGeneres and Portia de Rossi for an installment of Ellen&apos;s goofy soap spoof The Tales of Yesterday&apos;s Tomorrows. Watch the insanity after the jump! 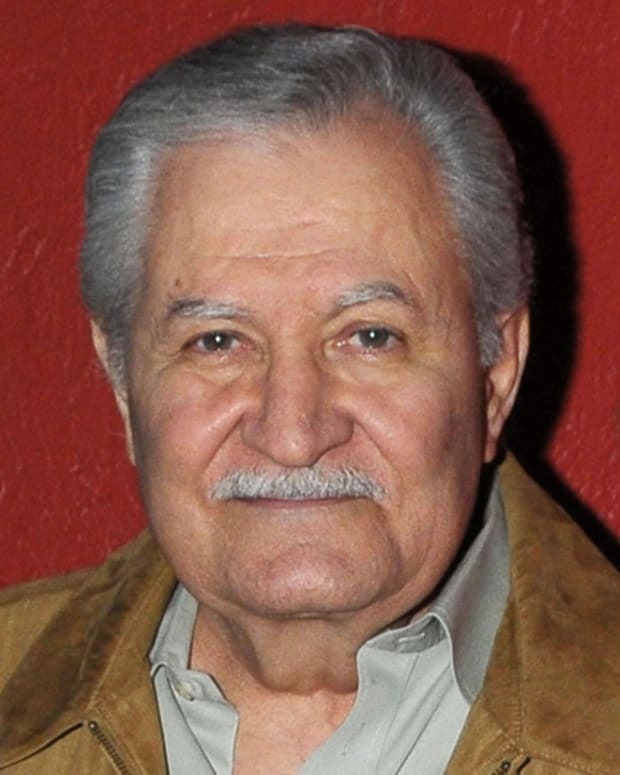 Days of Our Lives' John Aniston on Daughter Jennifer's Engagement: "It’s The First I’ve Heard About It"